Apple [AAPL} has released the latest version of its web browser for Mac and Windows, Safari 5 which comes with a range of new features and improved developer tools. Safari 5 now supports more than a dozen new HTML5 technologies, which according to Apple will allow developers to create rich, dynamic websites. Apple has also added Safari Reader which is designed to make it easy to read single and multiple articles on the web by presenting then in a new scrollable view without any content or clutter. 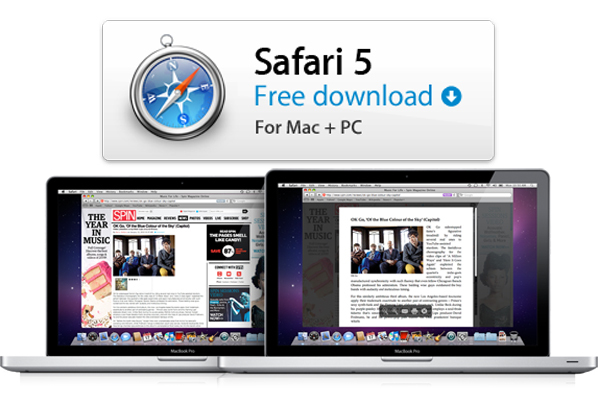 You can see full details of what is new in Safari 5 in the press release below.